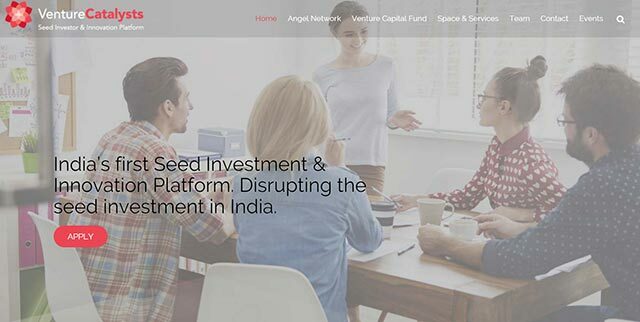 Mumbai-based seed investment and innovation platform Venture Catalysts has added 50 angel investors to its network within the last three months. Launched in December 2015, Venture Catalysts was founded by Apoorv Ranjan Sharma, Anil Jain, Anuj Golecha and Gaurav Jain. In addition to its founder-members, other angels who are currently associated with the seed investment platform include Anirudh Damani, Daud Ali, Abhishek Bhagat, Anand Ladsariya, Manoj Agarwal and Vikram Lakhotia, amongst others. Other angel investors who are joining are Samir Shah of Sattva Investments; Vishal Maheshwari, a former senior director at Yahoo India; Ankush Tiwari from Mobilia; and Rivoli Fashion House founder Vikas Kapoor, among others. "The reason behind the inception of Venture Catalysts was to reinvigorate and revitalise the fractured Indian early stage investment industry by creating a network of angel investors to fund and invest upcoming startups. Having reached the count of 50 angels within such a short time of our launch underlines the viability of our innovation-centric model," said Apoorv Ranjan Sharma, co-founder, Venture Catalysts. Anirudh Damani of Artha Venture Partners, who has been an active angel investor in 25 startups such as OYO Rooms and Exotel, said, "India, as it stands, is on the cusp of a startup re-evolution. But while there is a lot of enthusiasm surrounding the startup industry, there is an urgent requirement for holistic early-stage infrastructure to support and drive the growth." Venture Catalysts is looking to involve marquee businesspersons and HNIs in early stage investment and increase its network to 800-1,000 angels soon. The investment platform is also building a corpus of Rs 100 crore to provide early-stage investment support to promising ventures. Venture Catalysts' investments include photography curation startup SIFTR Labs, which secured $150,000 (Rs 1 crore) from the investment platform; and train ticket discovery platform ConfirmTKT, which got funding of $250,000 (around Rs 1.7 crore), last month.